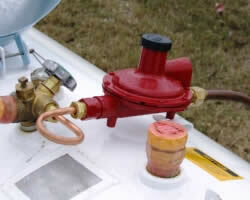 Keep your gas regulators clear. It could save your life! All regulators have a vent which allows the device to breathe during normal operation; it also functions as a pressure relief opening in an over-pressure situation. For safety purposes, this vent should remain free of dirt, debris, insects, water, snow, and ice. If the regulator vent becomes blocked or the airflow restricted for any reason, the regulator may operate incorrectly which could potentially result in over-pressure an appliance, causing an explosion or fire. 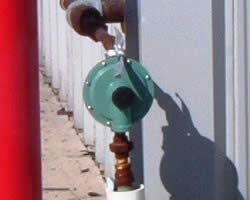 It's important to determine what type of system you have, and to ensure the regulator vent is always clear. 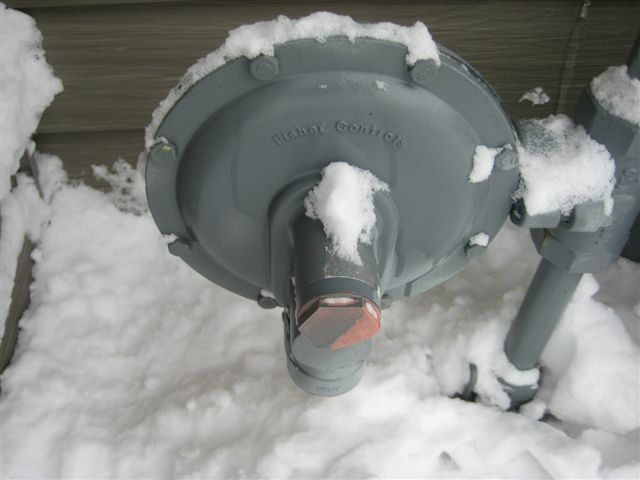 As the snow starts to fly, be sure to shovel it away so your regulator system can breathe. Doing so could save your life.